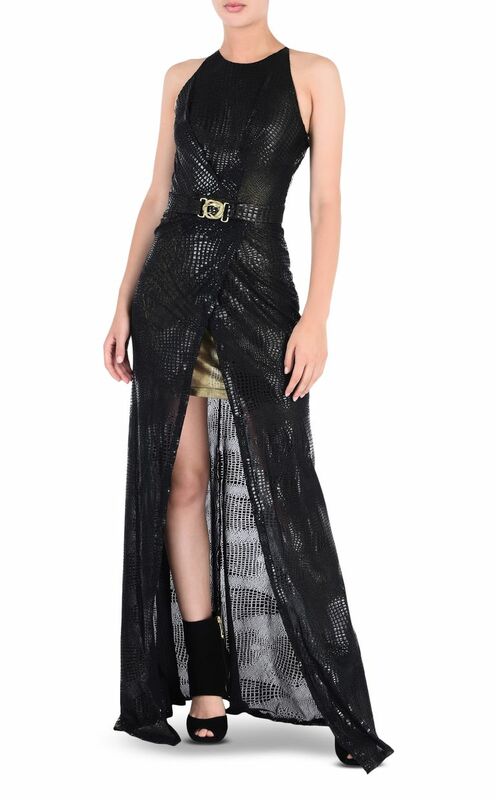 Sleeveless maxi dress with crocodile detailing. Boasting an elegant silhouette with cut-out details on the back. A belt highlights the waist. Regular fit.